Prior to taking ownership of this property, the owners had commissioned a building survey from a local firm of Chartered Surveyors. All appeared well for the first few months until a builder friend of the owners visited and raised concerns regarding the safety of a major structural beam. We were commissioned to undertake a timber frame condition survey and comment on the stability of the building and the conclusions drawn in the previous survey report. 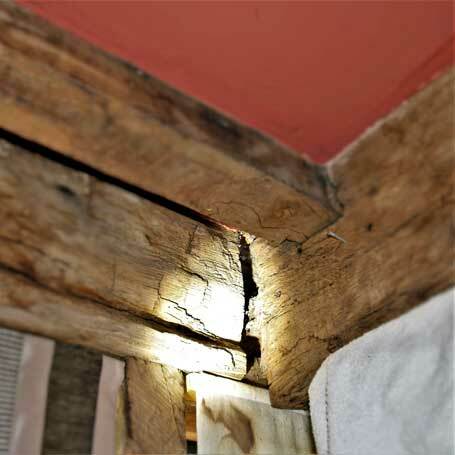 The building had undergone a substantial rebuild of the timber frame some years earlier, this muddied the waters slightly but it quickly became apparent that there was a significant and potentially dangerous progressive movement in one of the principal structural timbers. 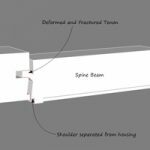 In common with many timber frame buildings, the first-floor construction consisted of a central spine beam which supported a series of smaller floor joists. 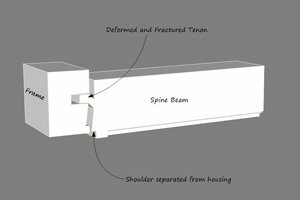 One end of the spine beam was located into the external box frame, it was this joint that had failed and at the time of inspection, it was almost completely dislocated. The original surveyor had failed in a number of areas; he had not specifically identified the defect, he had failed to take account of the physical evidence that strongly suggested that this was a progressive movement and he had not suggested to the client that further investigations would be required. 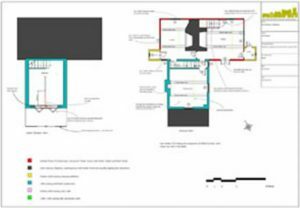 We produced the repair specifications and all the necessary documentation to enable the clients to obtain Listed Building Consent for the remedial works. The solution involved a discreet composite repair using a steel flitch, this required minimum disturbance to the surrounding fabric and a modest cost. Whilst the conclusions drawn in the original survey were mostly correct, this one oversite left the building in a precarious position. The original firm of surveyors accepted that they had made a mistake and compensated the owners for all professional and other fees as well as the cost of the remedial works. 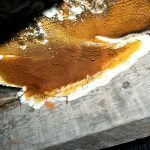 Dry Rot In A Converted Church Hall …A Cautionary Tale. A C19 former church hall was acquired by a housing association and converted to provide five independent residential dwellings. 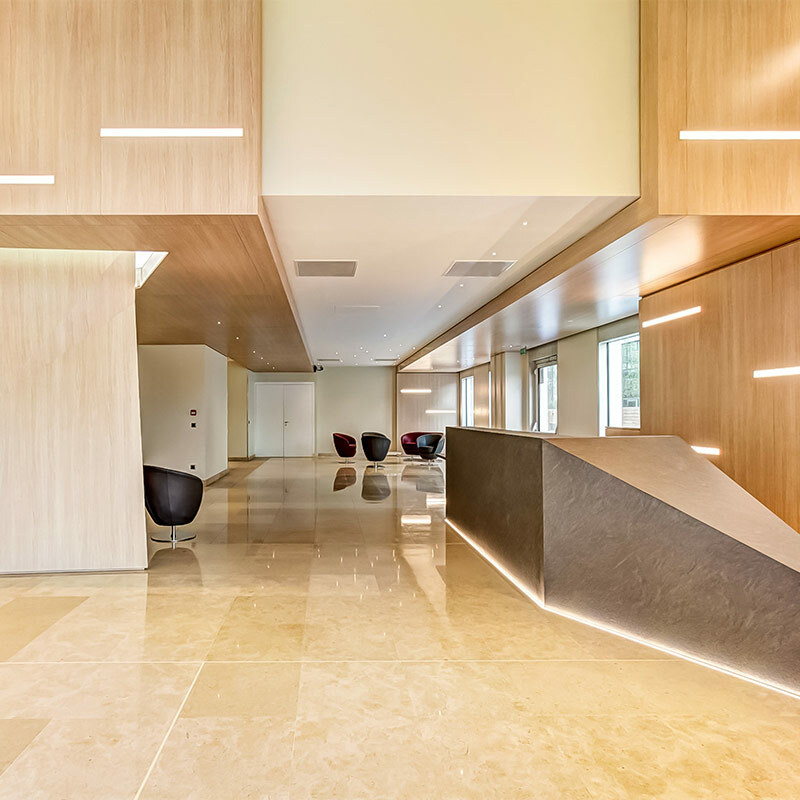 The development was designed by a local firm of architects and the works completed to a good standard. Approximately four years later the suspended timber floor in one of the apartments collapsed, at this point, we were asked to investigate. We carried out a damp & timber survey. 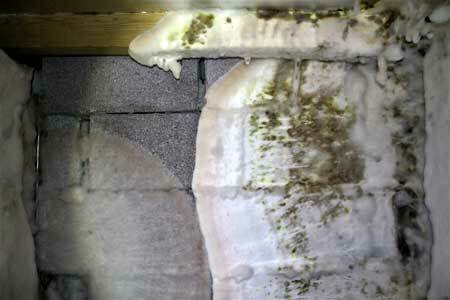 The floor structure below the apartment was severely affected by Dry Rot fungus. This was growing vigorously and could be seen extending beyond the area that had been opened up for the inspection. A further strategic endoscopic inspection was undertaken to identify the extent of the problem, this revealed that the fungus was present in most of the subfloor voids and had migrated behind some of the plasterboard dry linings. As a result, the tenants were re-housed and major opening up works were undertaken. 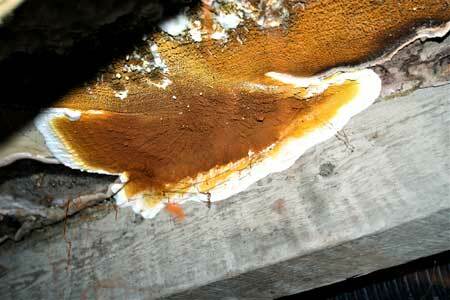 It was found that the Dry Rot fungus had developed independently in a number of discreet locations. In one area this was already destroying treated timber less than four years old. 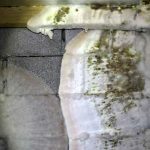 The cause of the problem was a combination of inadequate ventilation to the floor voids and dry linings, elevated moisture content in the base of the walls due to raised ground levels, and poor detailing around service penetrations, these factors combined to produce an environment ideally suited to the development of Dry Rot. Following the initial investigations we were commissioned to prepare a detailed specification for all of the remedial work, this included the elimination of dry linings and the installation of direct bond internal wall insulation using moisture permeable materials. The remedial works are ongoing at the time of writing and the total remediation costs are expected to exceed £100000. In timber decay terms, this was a ‘perfect storm’ that could have been avoided had a little bit more thought been applied at the design stage. 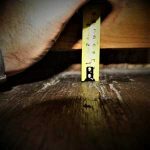 This was an extreme case, but it highlights the need for very careful inspection and a cautious approach when confronted with a building that has been dry lined, or has timber suspended floors. The owners of this small C17 cottage had been attempting to sell the property for some time, and whilst a number of offers had been accepted, the buyers had received adverse reports. 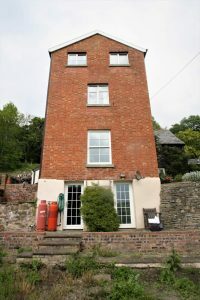 They had clearly been prepared by a surveyor with limited knowledge of traditional construction and included comments such as “the property is suffering from subsidence” and most tellingly, “the property requires a damp proof course”, unfortunately, this was sufficient to frighten the buyers away. We were asked to undertake a Building Survey on behalf of the vendors and produce a specification and costings for any repairs that may be required. 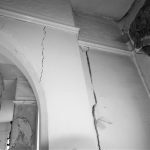 The property had been empty for a number of years and the condition was generally quite poor, but structurally there was very little wrong and there was certainly no evidence of subsidence. Settlement and subsidence should not be confused, the former refers to an event that happens shortly after a building is constructed, subsidence is the result of some other event that occurs later in the building’s history. In this case, there was a substantial bulge in the centre of the gable wall and some minor diagonal cracking above. The original surveyors had without any justification described this as subsidence, the actual cause was nothing to do with ground movement. The ground under a centuries-old building does not spontaneously become unstable or become incapable of supporting the building’s weight unless the character of the ground becomes altered in some way, this could be the result of tree root action, inundation, an alteration to the building or a number of other reasons. The original rubble stone construction included a gable chimney, the chimney had been removed but the flue was still present and was formed within the thickness of the wall, this produced a relatively slender central area of wall that had buckled under its own weight. 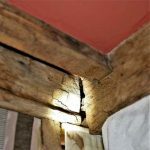 The problem was compounded by a lack of lateral restraint at first-floor level, this is a common condition in old buildings when the floor joists run parallel to tall relatively slender walls and are unconnected to the wall in any way. 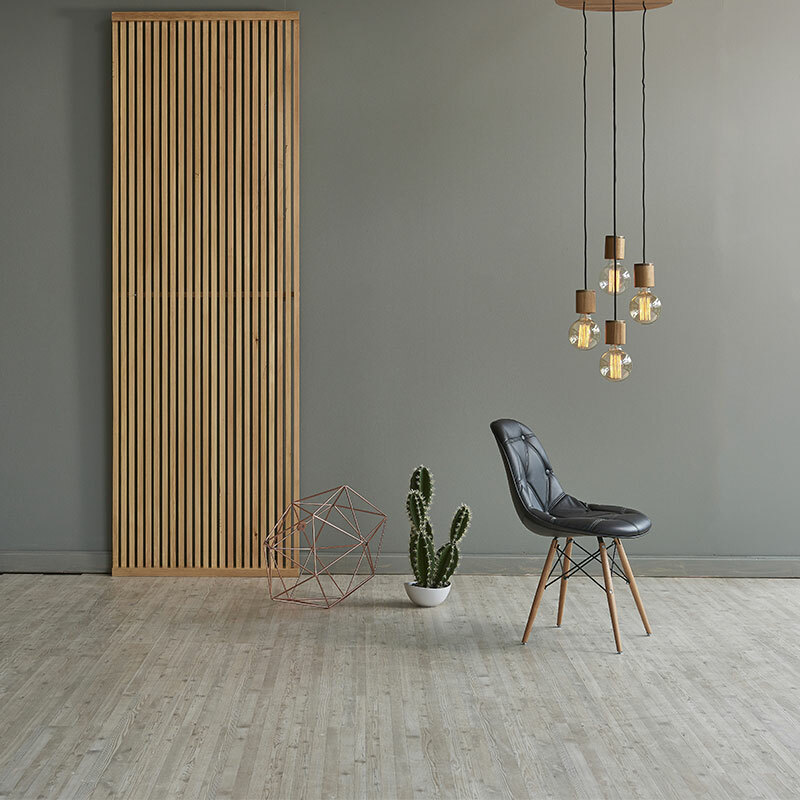 The movement was historic but it was decided to eliminate the chance of any future movement by introducing a number of stainless steel wall ties which extend through the wall and connect to the floor joists. The repair was completed quickly and cheaply by a local contractor as part of a wider scheme of repair and improvement. The property was sold within weeks of appearing on the market at more than double the previous highest offer. I strongly believe that in most cases interpretation of cracks, bulges and other structural anomalies should be the job of the surveyor. There are exceptions, but in most cases, a surveyor with the right training and experience should be able to explain the causes and provide options for remedying any problems. In this instance, the bulging wall had previously been wrongly attributed to subsidence even though the physical evidence did not point to this. The true cause of the bulge could have been discovered if the surveyor had read the building correctly and recognised the inherent design weaknesses. We were asked by the owners of a Grade II listed property in Mid Wales to help them obtain Listed Building Consent for various alterations to the property. 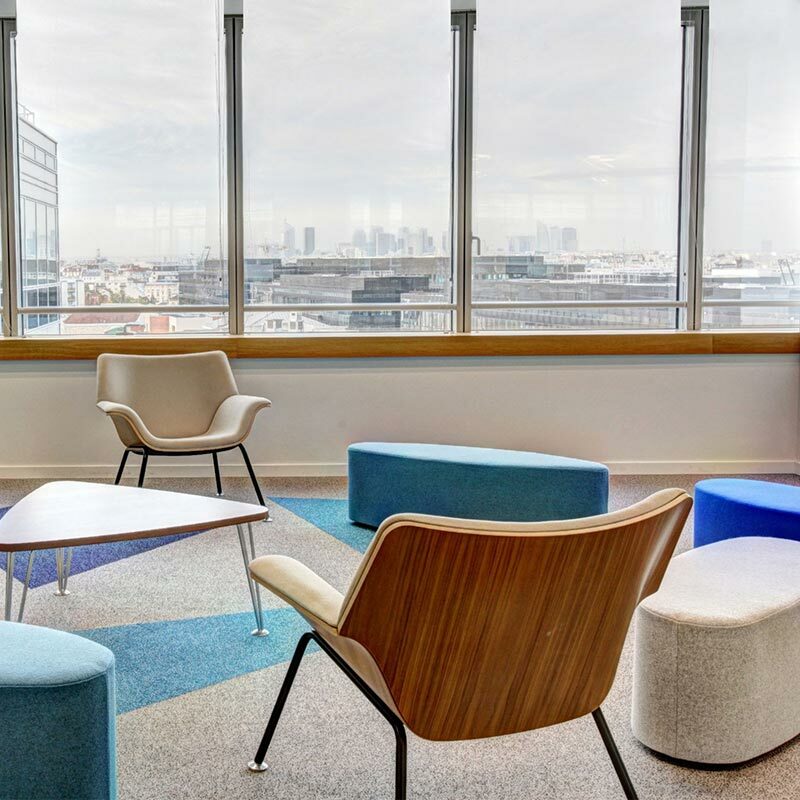 Whilst the alterations mainly involved reorganisation of internal partitions, some demolition of historic fabric was required and a contemporary extension was planned. In order to consider the feasibility of the alterations it was necessary to understand the construction and the significance of the various parts of the building, the first step was the preparation of ‘as built’ drawings and a 3D model. These drawings allowed us to assess the impact of any changes and provided the basis for designing the alterations and presenting the proposal to the Local Planning Authority. A discussion with the Conservation Officer was arranged to discuss the proposed changes and explain why the alterations were desirable and how they were to be achieved without harming the listed building. Involving the planning authority at an early stage is always recommended especially if the proposed changes are extensive or in any way contentious, as demolition always is. 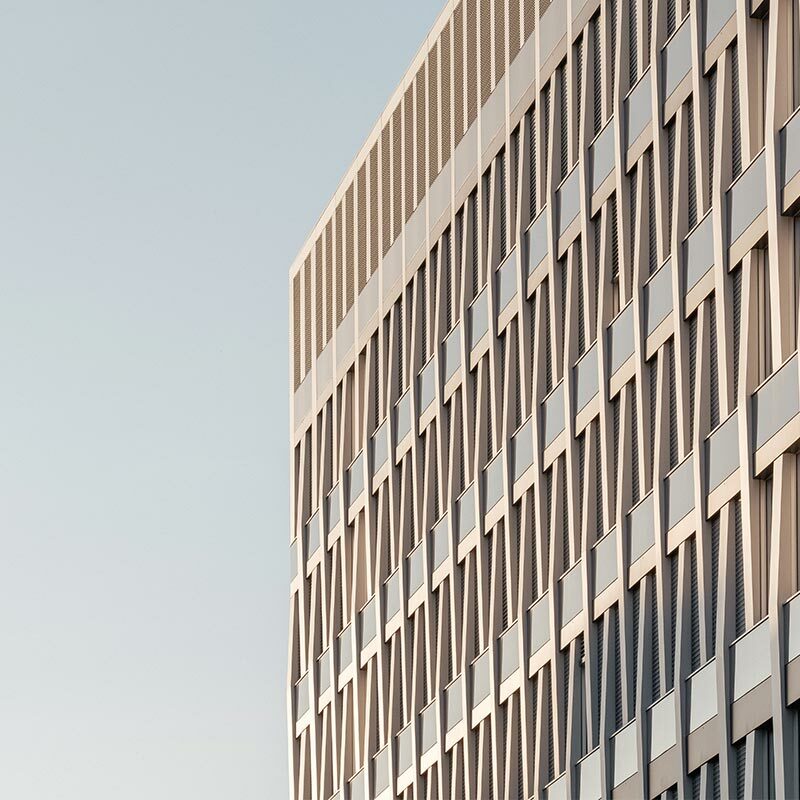 Although the decision to allow an alteration of a listed building should be based on whether the alteration causes harm or enhances the building’s significance in some way, a certain amount of subjectivity can creep into the decision making process. Highlighting and overcoming any subjective views expressed by the Conservation Officer can be a challenge at times. However, pre-application discussions provide an opportunity to do this and ensure that the final proposal has the best possible chance of receiving approval. Demolition of any part of a listed building requires very robust justification. In this instance, we were able to gain permission to remove a masonry partition wall in order to facilitate an enlarged ground floor kitchen and assimilate a contemporary glass box extension The remaining alterations were designed to be minimally intrusive and mostly reversible. A full suite of drawings were prepared along with all the necessary documentation These were submitted to the Planning Authority for approval. Listed Building Consent was granted within the statutory period subject to minor conditions. Our protocol for obtaining planning permission and or Listed Building Consent has been proven to be highly successful over the years and subject to realistic client expectations, we are normally able to produce the desired outcomes for our clients. We were instructed to undertake a survey on behalf of a private client wishing to acquire a moderate size un-listed Victorian property in West Cheshire. 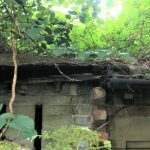 The property had been neglected for many years and was suffering from a number of serious defects. Some of these were the result of design flaws, others were the consequence of poor maintenance and age-related deterioration. 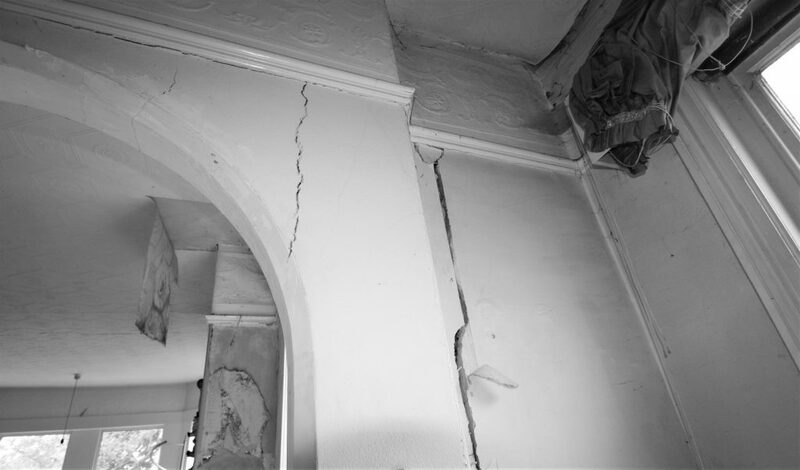 Serious structural cracking was present in a number of locations, the tops of some of the walls were overturning as a result of unrestrained roof spread, the roof covering was in need of extensive repairs and most of the building services required replacement. Assessing the condition of the property internally was very difficult due to the number of personal items that were present. In some areas, it was impossible to reach the other side of the room without climbing onto furniture. For legal and safety reasons this was not attempted. Sufficient information was obtained during the inspection to advise the clients that the cost of refurbishing this property was beyond their budget. It was also probably in excess of market value when taking account of the purchase price. 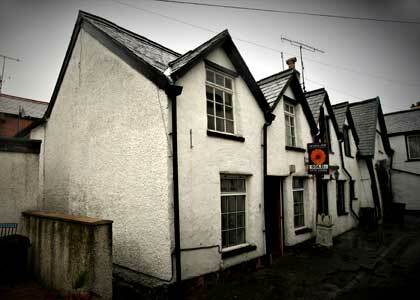 This is an example of a property where acquisition and development costs were potentially in excess of market value. Whilst this is not necessarily an issue for everyone, it is worth keeping in mind that repairs to historic buildings can be expensive. Finding the right people to undertake the work can also be difficult. Obtaining finance and insurance for historic or buildings of non-standard construction can sometimes be difficult and you should factor in the possibility of increased premiums. In February 2017 Storm Doris swept across the UK damaging numerous properties. One of the casualties was a Grade II listed building in West Cheshire. The building in question was designed by the renowned nineteenth-century architect John Douglas and is one of over three hundred built for a well-known local estate owner. The building, dating from the 1880s has four high relief pargetted panels in the gables, one of which was completely destroyed by the gale force winds. NPA was approached by the estate managers to help recreate the missing panel. No easy task when each panel was different and there was no clear photographic record of the missing one. Having measured and made a detailed photographic record of the remaining panels we discovered that there were common elements in each that we could extract and use as the basis of the replacement. Using a very blurred and distant photograph of the missing panel, various CAD programs and a little bit of artistic licence Lizzie was able to construct an accurate full-size pattern for the contractor to work from. The pattern, which measured approximately three metres long was taken to site and carefully placed over the new lath and plaster panel that had been constructed. Lizzie then transferred the basic outlines onto the new base coat of plaster. 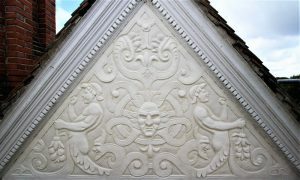 A specialist plasterer then hand modelled the design using relief guides that were obtained from the remaining panels.